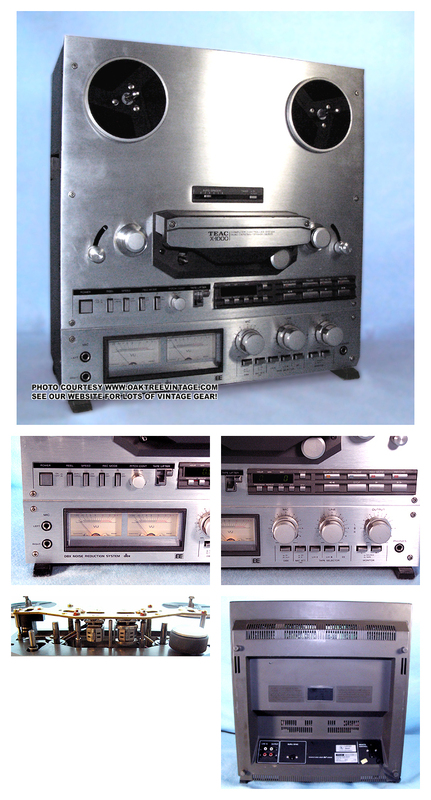 Replacement Teac X-1000 X1000 parts. 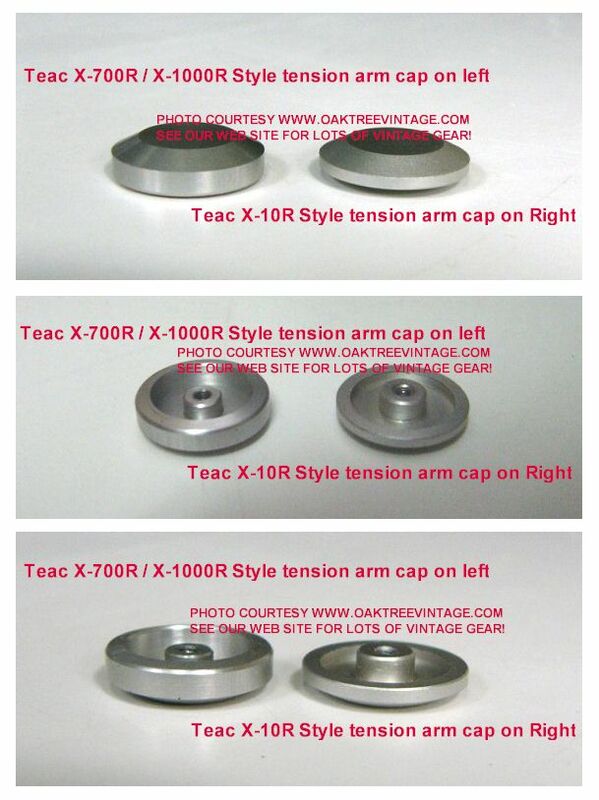 These are salvage and functioning parts from a Teac X-1000, X1000 and some may fit the Teac X-1000R, X1000R, X-2000, X-2000R, X2000, X2000R, X-7R, X7R, X-300, X300, X-700, X700 Open Reel to Reel Tape decks / recorders. 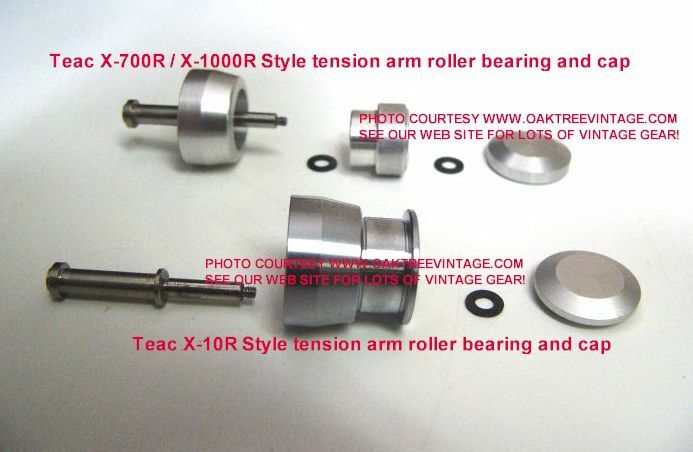 Teac X-1000 Motor, heads, brakes, circuit boards, Solenoid, rollers, idler, tension arms etc. Deck worked looked and worked great, until, while doing a preliminary check on it, we allowed the transport circuit board to short against the chassis, while unit was powered up. 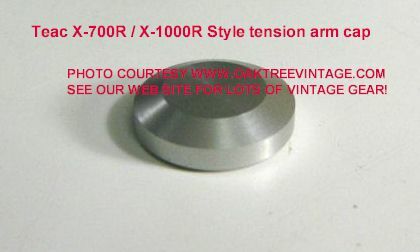 Then it would kick into fast wind mode anytime the tension arms were up. We replaced a few transistors on the board to no avail. Thus it's the "chopping block" for this fellow. 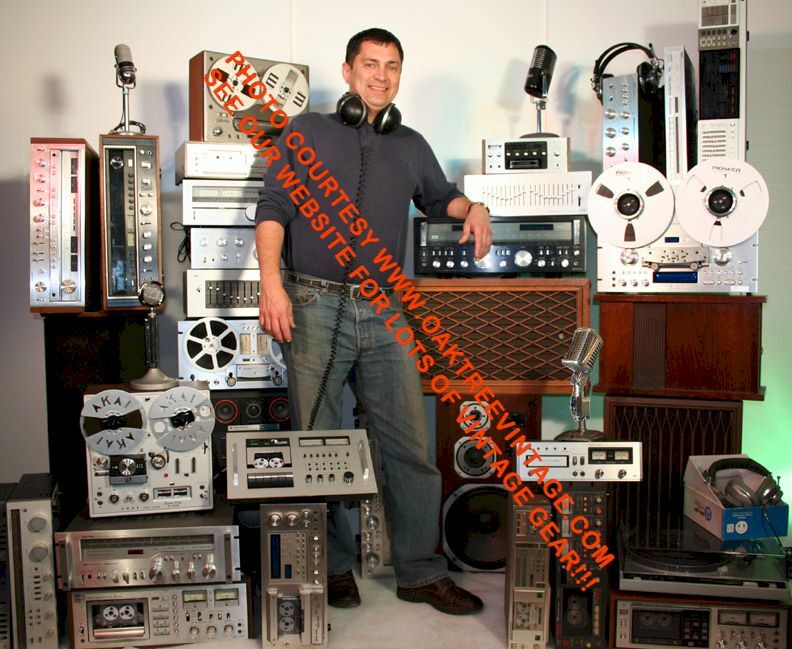 Some parts MAY* also fit the Teac X-1000R, X-7R, X-700R and possibly others. Panel / Plate, Upper Face Plate (silver). New condition. No dings, scuffs or gouges (with right tape tension roller / counter sensor assembly intact) (does not include any mounting "hex" bolts) - $125. Panel / Plate, Lower Face Plate (silver). New condition. No dings, scuffs or gouges (does not include any mounting "hex" bolts) - $65. Screws / Bolts / Fasteners, Face plate / cover mounting hex bolts / screws - $12. ea. Knobs / Caps / Buttons / Covers, Pitch Control Knob - $30. ea. Knobs / Caps / Buttons / Covers, Push Switch Caps - $20. ea. Knobs / Caps / Buttons / Covers, Tape lifter lever / switch / knob assembly - $30. 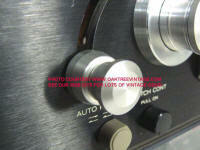 Potentiometer, Mic / Line / Output pots / controls - $30. ea. Potentiometer / Control, Pitch Control pot with wiring harness - $35. Switch / Selector, PUSH; Power Switch (cap sold separately) - $40. Switch / Selector, Mic Attenuator switch (6-pins, 3 on a side) (see also 'Mic Attenuator' / 'Monitor' / Timer switch) - $30. ea. 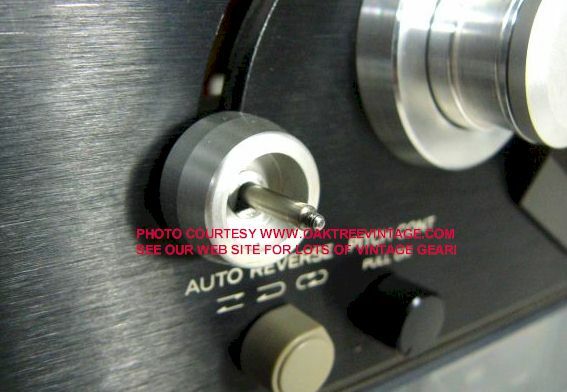 Switch / Selector, Timer switch extension rod - $25. Switch / Selector, Tape Type Switch Bank includes 3 switches w/ cancellation bracket / mechanism - $45. Panel / Cover, Back Plate for Head Cover / Panel - $25. Screws / Bolts / Fasteners, Head Cover hex bolts - $20. ea. 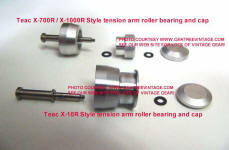 Motor, Hub / reel / Fast Wind Fast Forward / Rewind motor motors right Part # EM1448 (see also Teac-X-7R) - $95. ea. Motor, Hub / reel / Fast Wind Fast Forward / Rewind motor motors left Part # EM1448 (Will also fit X-700R) (see also Teac-X-7R) - $95. ea. Pinch Roller, Rubber Pinch roller left or right (good used, less screw and hubcap) - $65. ea. 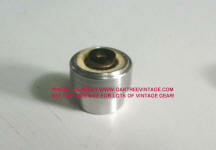 Pinch Roller, Pinch Roller Cap / Cover w/ screw #5800283900 (roller sold separately) - $35. ea. Solenoid, Any internal Solenoid RL-1661 / 51630440, RL-1657 / 5163041001, RL-1658 / 51630420 - $40. ea. Sensors, Counter / Tension arm sensors PCB-112 - $35. ea. SOLD? Sensors, Counter / Tension arm sensors PCB-113 - $35. ea. Brakes, Hub Brake drum / back hubs (reel base / spindle tips sold separately) - $30. ea. Brakes, Hub Tension brakes / brake bands - $30. ea. Flywheel, Capstan Flywheel - $35. ea. Circuit Boards, DBX Encoder / Decoder Circuit Board PCB-108 w/ DBX chips 146732, 146742, and other IC's 45580 - $65. Circuit Boards, Motor speed control PC board - $45. Circuit Boards, Control Circuit Board PCB-144 W/ IC'S LC7800, 5220804301, TD62302P, and transistors B507, NTE152, ECG152, (less Remote port jack) - $65. Transformer, Power 5320014200 ( NOT compatible with the X-2000R which utilizes part number 5320027400) - $95. Rectifier, Bridge Rectifier BA60 / C2D - $30. Jacks, Headphone jack - $35. Jacks, RCA Input / Output Panel / section - $40. Parting out. Email or call for parts pricing / availability.